The NHL’s marquee regular season event was a true classic, with the Washington Capitals scoring the winning goal in the final seconds of regulation Thursday. 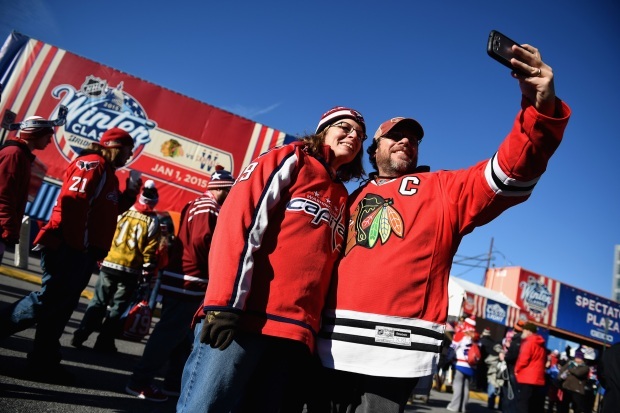 Forward Troy Brouwer proved to be the hero of the 2015 Bridgestone NHL Winter Classic, putting the Capitals ahead of the Chicago Blackhawks 3-2 with just 12.9 seconds left. Fans celebrated by throwing their seat cushions in the air. Both teams demonstrated excellent execution and fantastic goal-tending, and the game was played at an exciting pace in front of 42,832 fans in attendance at Nationals Park. Eric Fehr's unassisted goal started the scoring in the first period and was followed by a goal from Alex Ovechkin off a rebound. But, minutes later, Patrick Sharp scored for the Blackhawks on a power play. Brandon Saad evened the score early in the second period when Fehr lost track of him before Jonathan Toews found him with the puck. In the end, though, it was the former Blackhawk Brouwer who decided the game. His power play goal followed a borderline hooking call on Toews with 1:13 left. Saad then slashed Ovechkin's stick in the left circle, and as Ovechkin raised his hands to make sure the officials saw the penalty, Brouwer, who was trailing, took the puck and scored. 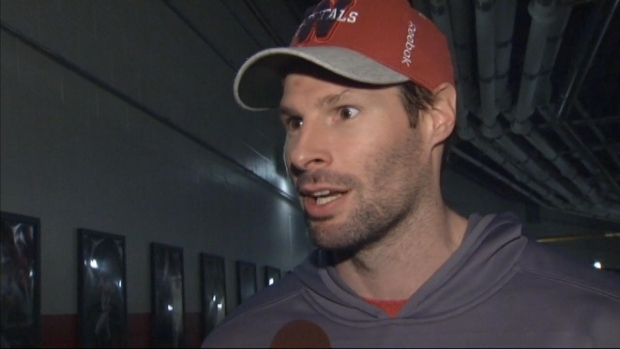 News4's Jason Pugh spoke to Troy Brouwer about his Winter Classic-winning goal for the Washington Capitals. Brouwer's father, Don, who suffered a stroke in 2010, was in attendance, seeing his son play in D.C. for the first time. The game started on time Thursday afternoon despite concerns the sunny day could hamper players at Nationals Park. Shadows covered the ice for the start of the second period. 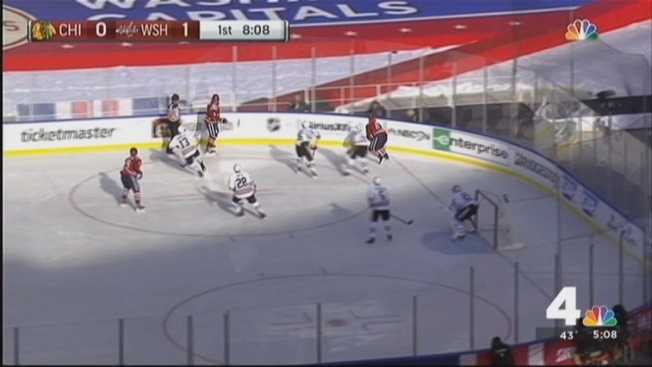 To eliminate any advantage sun glare might create, the teams switched ends 10 minutes into the first period. Sharp then beat Caps goalie Braden Holtby with a sun-to-shade slapshot for Chicago's first score. Players used eye black to fight off the glare, while Capitals defenseman Karl Alzner donned sunglasses. Ovechkin praised the condition of the ice after the first period. 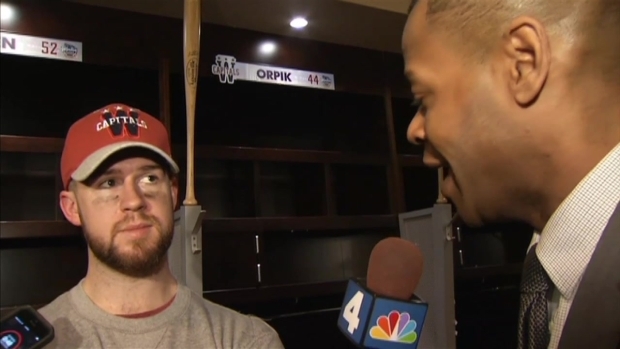 Jason Pugh gets reaction from Washington Capitals defenseman Mike Green about winning the Winter Classic at Nationals Park. Fehr might like to play outdoors more often. Though he averages about eight goals per season, he previously scored two when the Capitals played in the 2011 Winter Classic in Pittsburgh. After a strong December (8-2-3), the Capitals improved to 19-11-7 on the season. The Blackhawks, the second-best team in the NHL, dropped to 25-11-2. 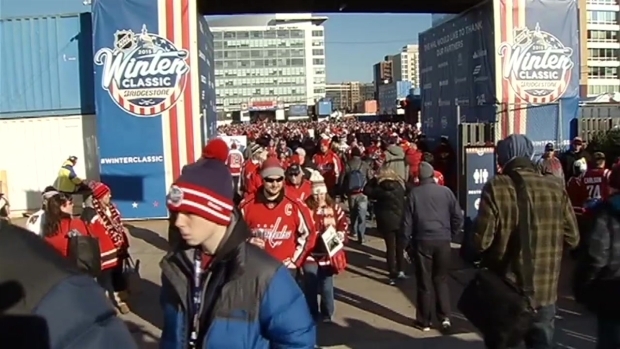 News4's Kristin Wright spent the day with Washington Capitals fans at the 2015 Winter Classic at Nationals Park in Washington, D.C. It was also a nice day for some live music. Billy Idol performed before the game and Gavin DeGraw sang between the first and second periods. During the break before the third period, Lee Greenwood sang his classic ode to patriotism, "God Bless the U.S.A."